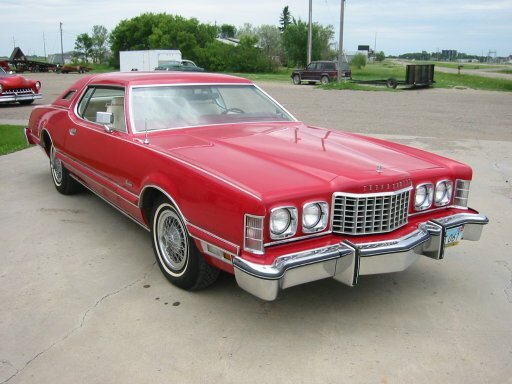 This is a very nice car that has a nice straight red body, red vinyl top, white leather interior, cruise control, air conditioning, tilt wheel, power steering, power disc brakes, power windows, original wire wheel caps, good tires, good glass and good chrome. It has a completely rebuilt 460 cubic inch V-8 with only 6000 miles since rebuild, the car itself has 109K since new. All Rights Reserved Greater Dakota Classics © 2004.